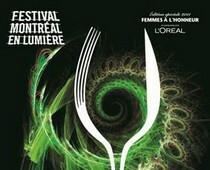 That time of year is fast approaching that many food-obsessed Montrealers wait for: the Montréal en Lumière festival. The 2011 edition of the festival will be held from February 17th to the 27th, and the schedule is out, which means that you had better make your plans fast and book now! Anne-Sophie Pic will be presiding this year and the line-up of guest chefs is composed entirely of inspirational female chefs and wine producers.